Ever since I saw pictures of the Shenandoah mountains, I knew that I wanted to be there some day! I’ve talked about it so much that it became an item of our family’s bucket list. Exploring Shenandoah National Park together. I was so excited to start planning our family camping trip. We decided to camp there for a few days. Where is Shenandoah National Park? Located Along the Blue Ridge Mountains, in the state of Virginia. About 75 miles from Washington DC. 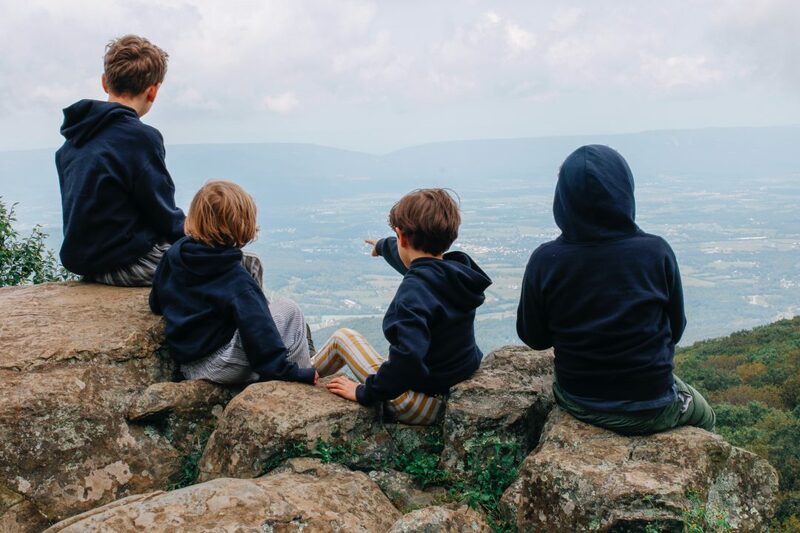 The Skyline Drive goes through the whole park and It leads to all of the hiking trails, lodging, camping sites, and many viewpoints where you can park and take in the majesty of the views and the clean air. Camping at Shenandoah is not open all year, they start opening the camp sites in the spring and stay open until the fall. Many people come for the fall, to see the gorgeous foliage changing colors, like one of the most beautiful magic tricks preformed by nature. We had an international trip booked for the fall, so we decided to go at the beginning of summer. 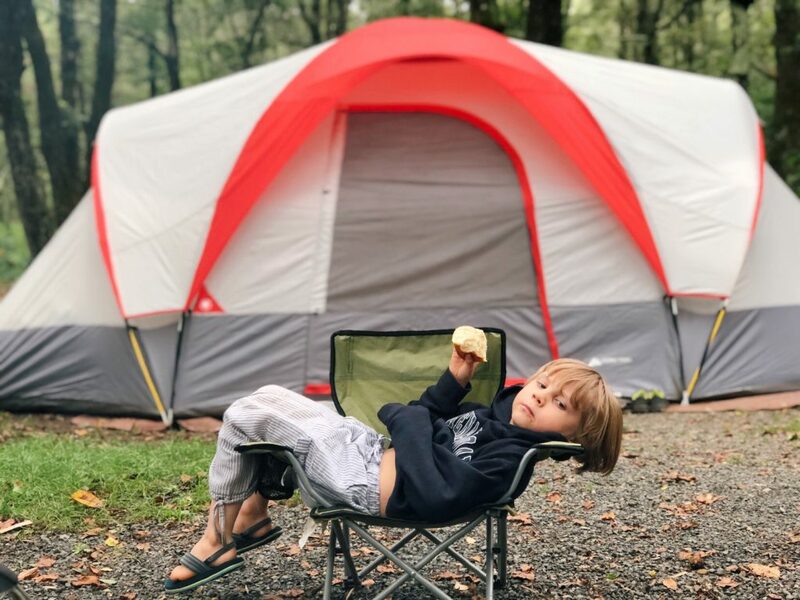 Shenandoah National Park offers back country camping, which is perfect for backpacking and exploring as much as you can. We chose to camp on a campground, our two youngest kids would do better with that. Matthew’s Arm Campground- at mile 22.1 nearest to the north entrance. Big Meadows Campground- at mile 51.2 is the most popular of the campgrounds. Lewis Mountain Campground- at mile 57.5 the smallest campground in the park. Loft Mountain Campground- at mile 79.5 the largest campground in the park, with beautiful views. Dundo Group Campground- has three sites for group camping. After learning about all the options, we decided to go for Big Meadows Campground. It has many amenities but still kept the rustic feel of camping in the forest, even though we could walk to a bathroom. The camp site had a fire pit with a grill over it, enough space for our large tent, and a bear safe box to keep our things during hikes and over night. Big Meadows is also near three waterfalls, a small museum and even a cafe. 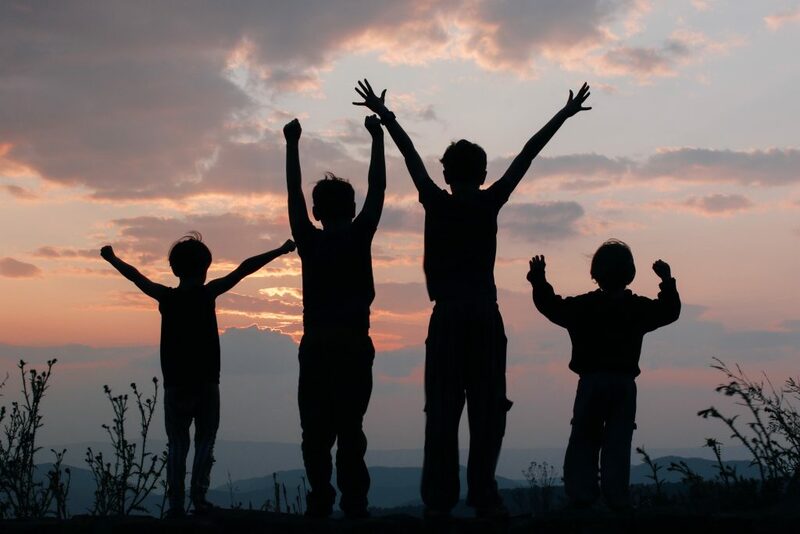 We had so much fun and never ran out of fun things to do with the boys. Once you are settled, find the Ranger Station! They offer kids programs and our boys enjoyed them so much! 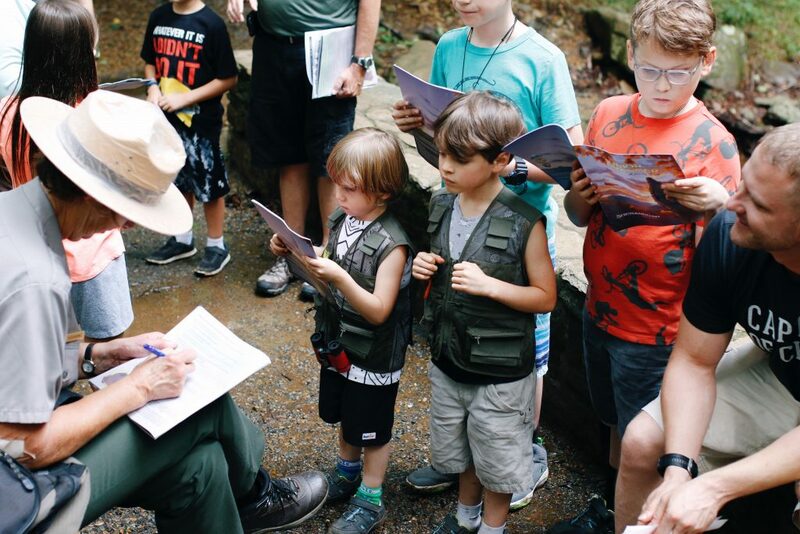 They got to do a hike with other kids, do a scavenger hunt, some nature art, and got a signed certificate from our amazing Ranger! 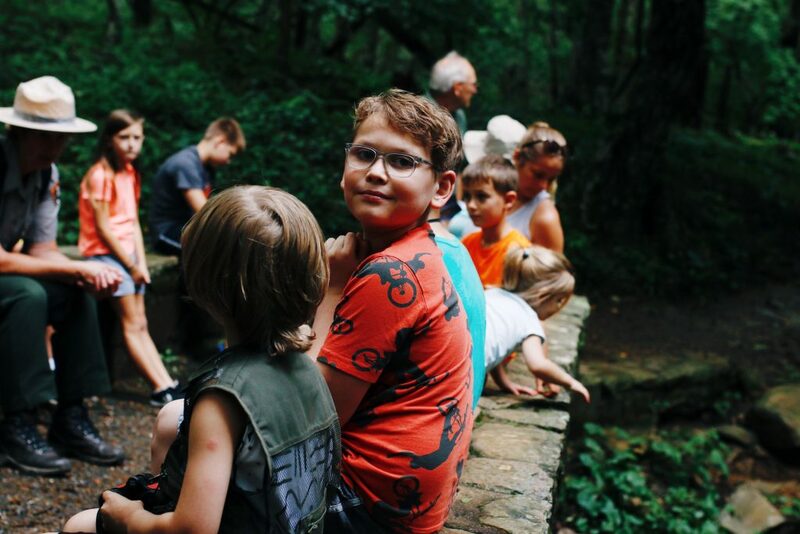 When we weren’t having fun with our Ranger, we went on several family hikes, which were all perfect for our entire family. One was longer and a bit more challenging, but we loved the experience and it helped us learn about persistence and team work, besides all of the nature that we got to observe. 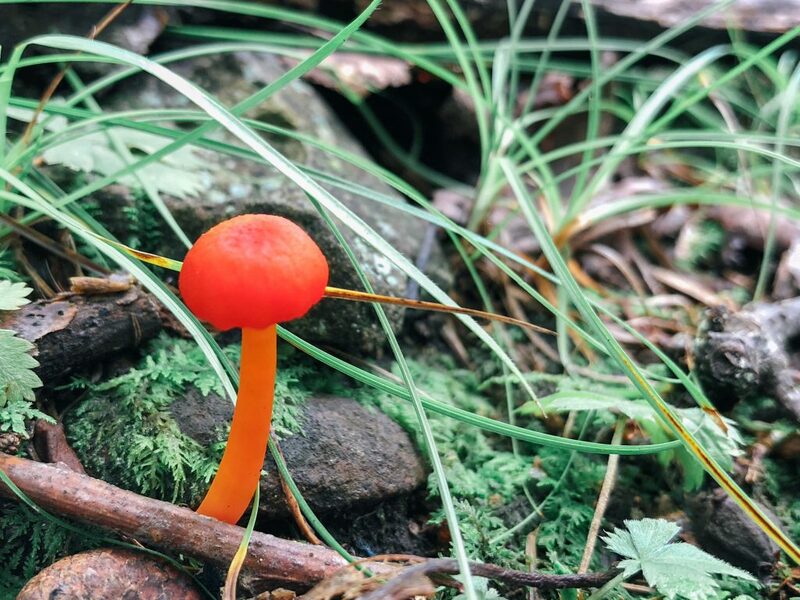 Colorful mushrooms, insects, deer, and bears! Yes I did say bears! I will talk about them a little more in a few minutes. One very known fact about me is that I will travel for a perfect sunset. So every afternoon, my beautiful family jumped in the car and drove with me to different view points on the Skyline Drive to see the sunset. We had some overcast times but it did not take away from the stunning sunsets! 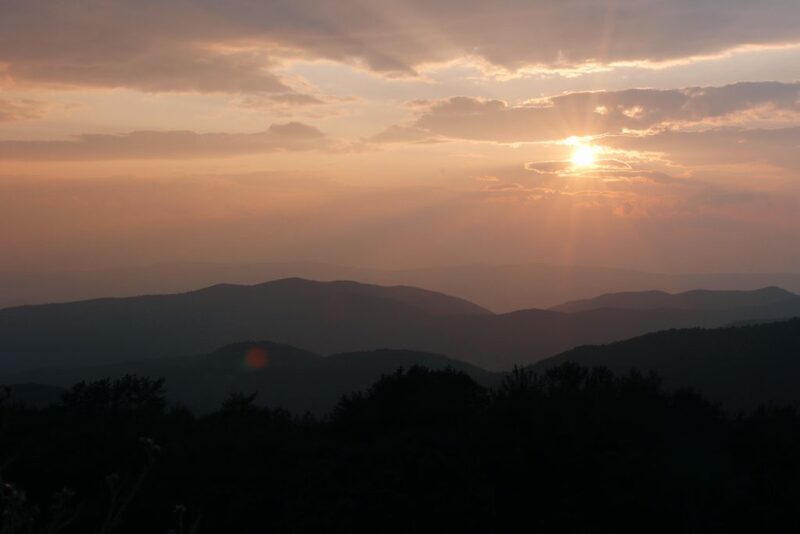 Be prepared to be amazed and speechless at the views and the colors of the sunsets at Shenandoah! I can’t wait to go back, when the foliage is changing. 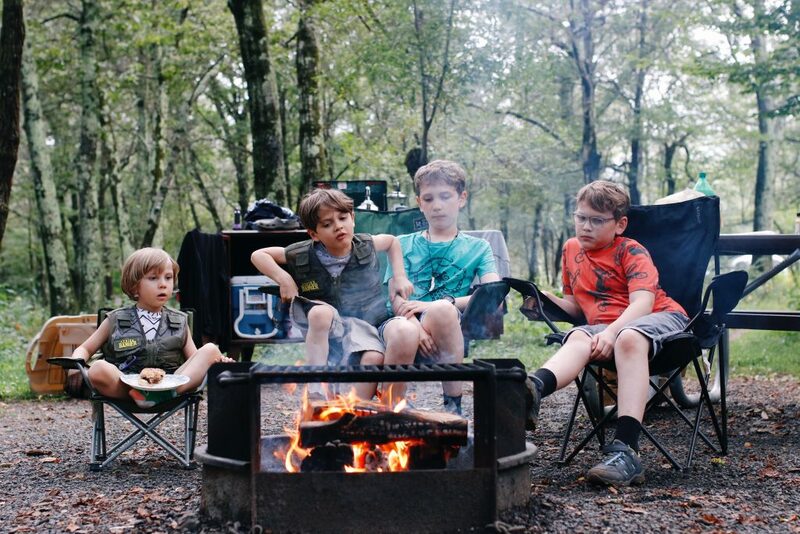 Another favorite time for the boys was the campfire! After coming back from the perfect sunsets, we made fires, read stories, and of course, s’mores! 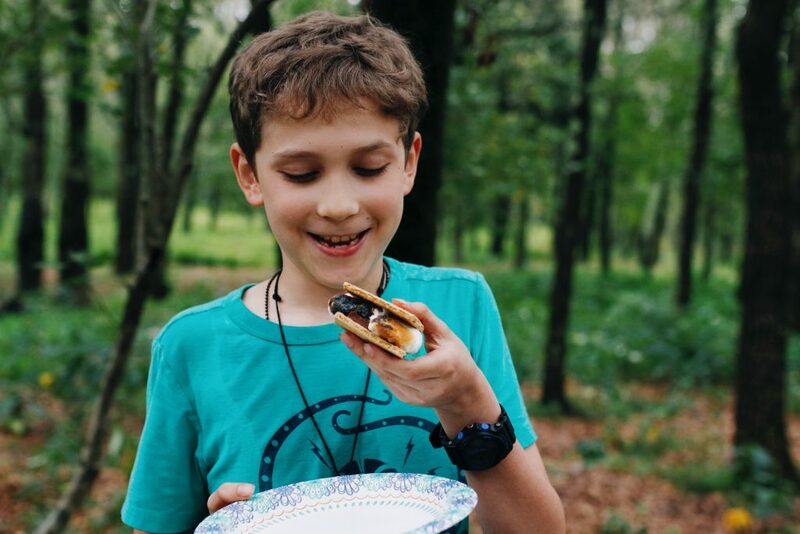 Do not forget to bring plenty of s’mores supplies! 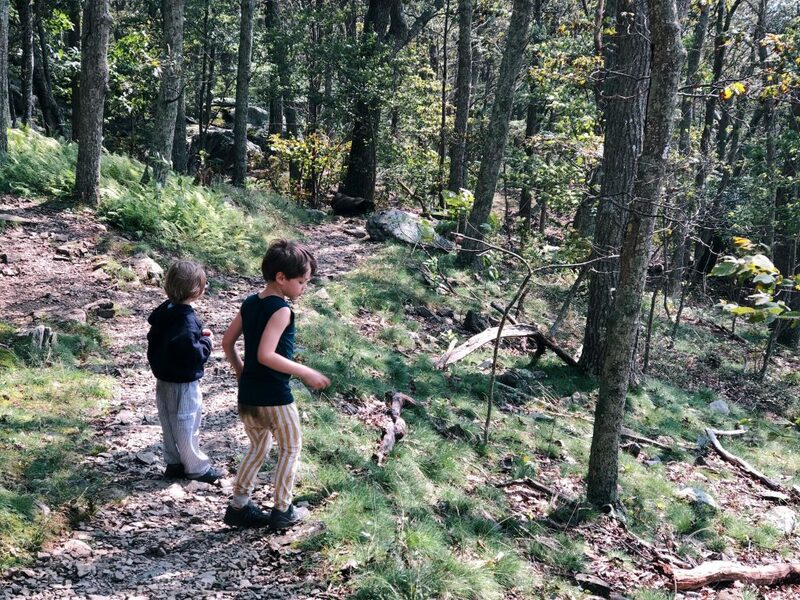 The kids will burn all the energy the next day with more hiking and exploring! After the fire dies down, we settled in our tent with happy and so very tired little boys that declared we had just had the best day ever! 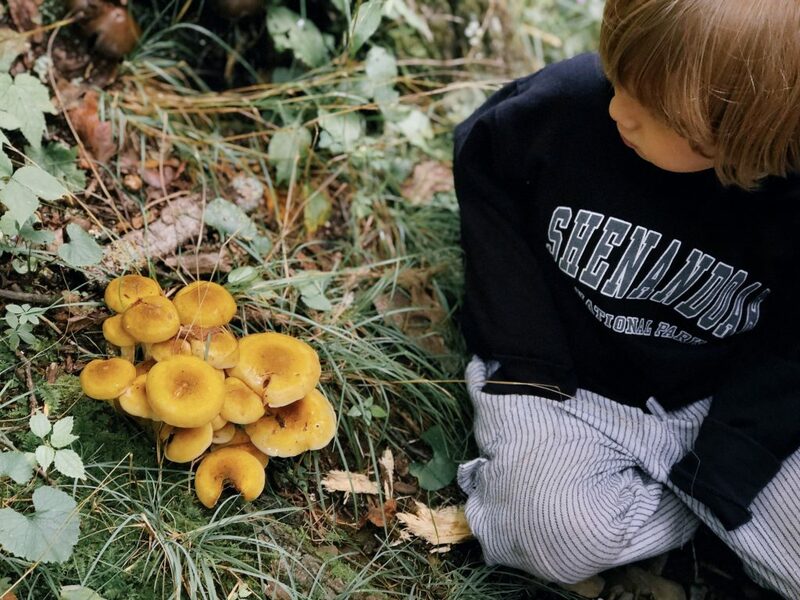 When visiting Shenandoah, try to keep your planning simple, let the kids have plenty of time in nature and learn along the way with them. I believe the best memories are made while enjoying the simplest of things! 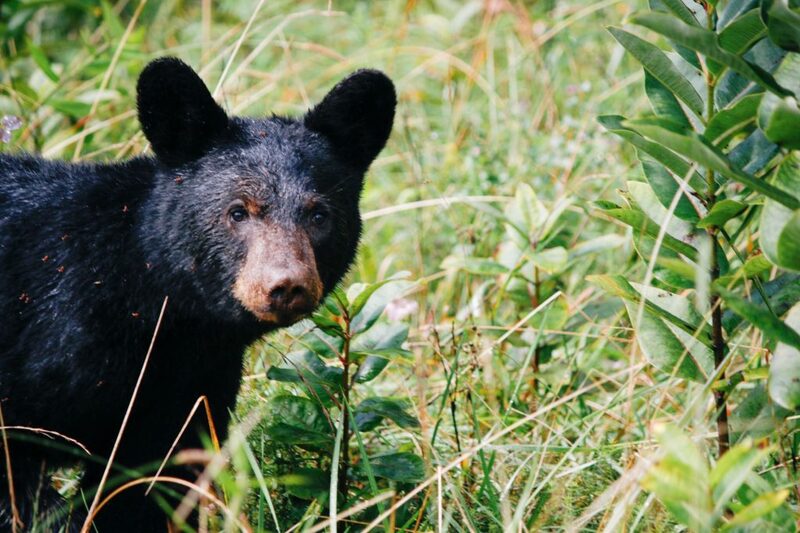 Shenandoah is home to many black bears so bear sightings are very common! We got to see an incredibly cute bear cub that kept coming around to check things out! Drive slowly, keep your distance, and use the bear safe containers that they provide. Do not leave food or trash laying around the camp site! Remember this is the forest! We had many deer visit the camp sites and walk around the road. 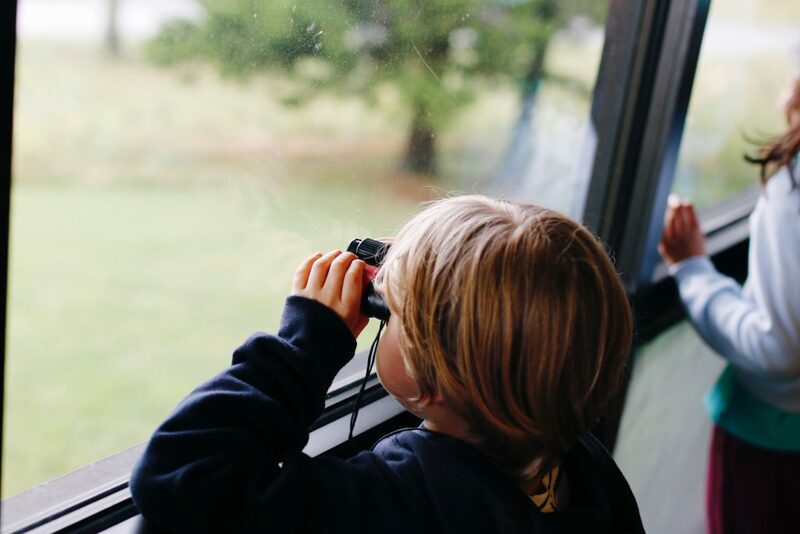 Let the kids see them and teach them to watch from a distance, respect nature and admire all the amazing creatures of the Forest. All of these precious animals walk around like they own the place. Because well, they do! Don’t forget to prepare your tent for rain. It’s not uncommon that you will have it, and it would be so sad to have a miserable night because of not being prepared. 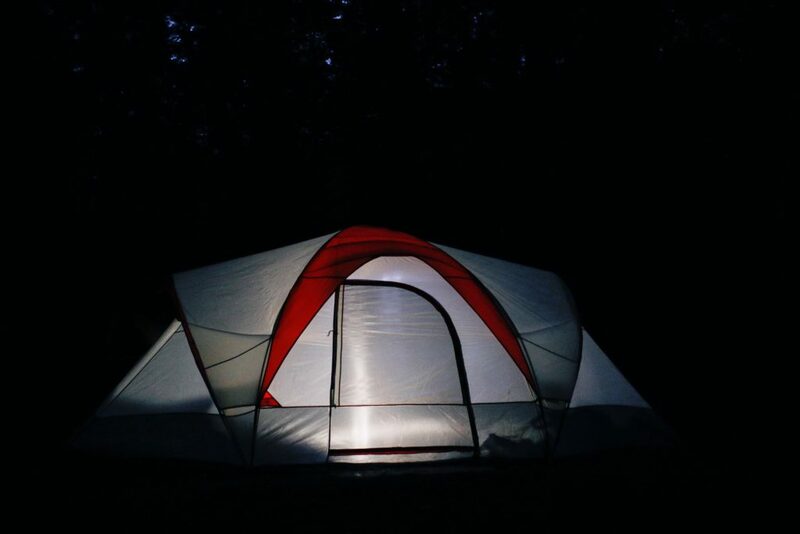 Make sure your tent is ready for rain and don’t use a tarp that will stick out from under your tent, because it will create a pool of water under it. This is all that I can think of right now. 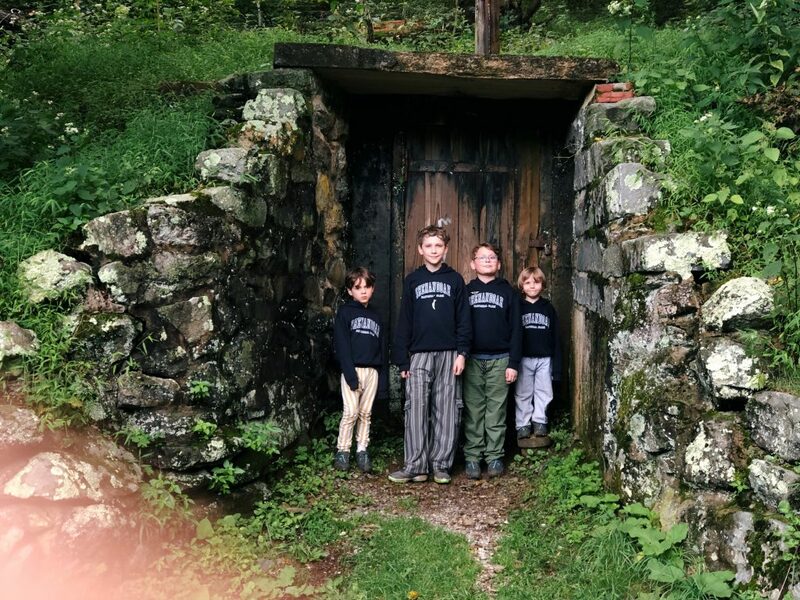 I hope all of this information and our family experience, helps you have a great time at Shenandoah National Park! If you love nature and breathtaking views, this is the place for you. 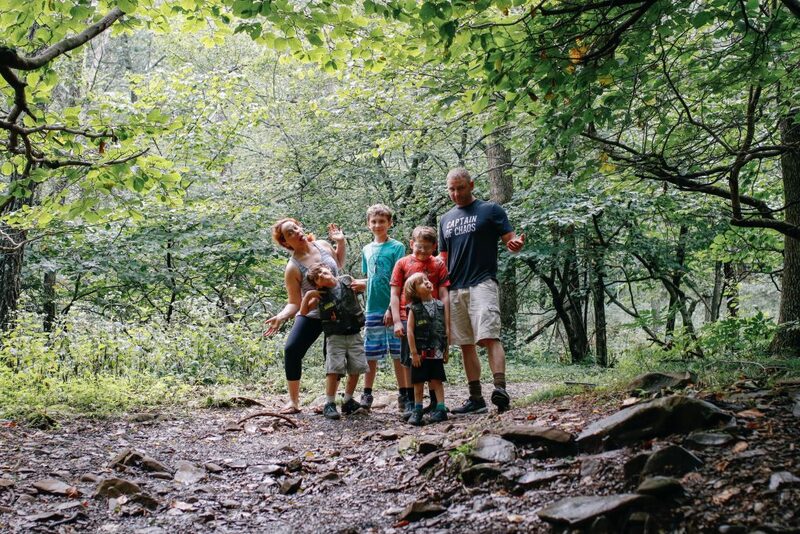 Headed to Shenandoah with the kids? Go to this post for a fun adventure checklist that you can print for free!